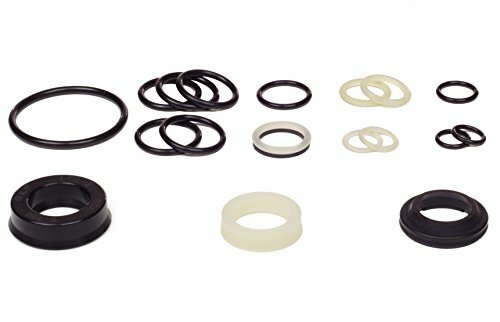 Case 1543273C1 Aftermarket Hydraulic Cylinder Seal Kit. Also known as Case G105545 or Case G109423. 2 Inch Rod & 4 Inch Bore. Make sure your rod size is 2 Inches. If it is 2.5 Inches you may need Case Kit G109424. Equipment Type: Backhoe Loaders, Crawler Dozer Loaders & More. 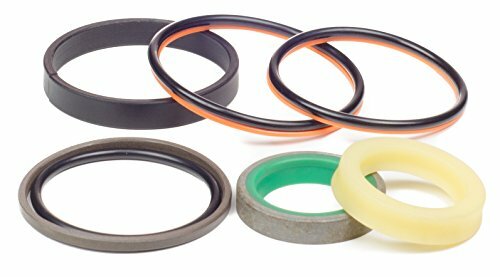 Kit King USA Branded hydraulic cylinder seal kit that contains necessary seals for a hydraulic reseal. All parts are quality checked and protected by a poly bag to ensure they are ready for your professional repair and install. Be sure to double check part number with OEM before purchase for your intended application. Picture is of the actual kit, but some part variation may occur due to part upgrades or various suppliers. Kit King USA kits meet or exceed OEM specifications, provide great performance and wear life, and are paired specifically for your application. Put our kits to the Test on your next hydraulic repair. Be sure to verify that your purchase is Kit King USA Branded. Demand the brand. Description: Basically consisted of the sealing lip, stiffening metal insert, and a garter spring. 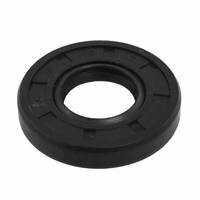 The nitrile rubber coated outside diameter creates an optimum seal at the hub. The steel garter spring guarantees constant pressure on the axle shaft over the life of the seal. It can prevent dust and impurities into inside the machine, and prevent lubricating oil from leaking. National has built a reputation as one of the most respected names in the industry. We have offered premium sealing solutions for more than 70 years. Our design team keeps pace with the industry and provides advanced solutions for today s vehicles. Brand: Kit King USA | Manufacturer: O-ring Sales & Services, Inc. This is a kind of rubber fully coated with the tight spring double lips oil seal. 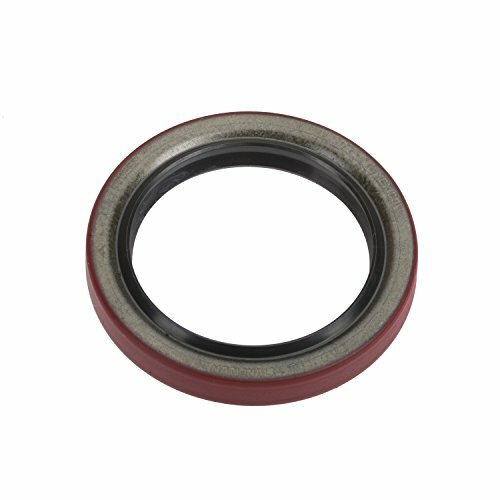 Anti-oxidation, oil proof, weather resistant, heat proof, good elasticity, resistant to flexural deformation double lip oil seal, etc. Used in mechanical, automobile, electrical appliance, industrial, construction, or special purpose. *THIS IS NOT A NATIONAL/TIMKEN OIL SEAL BUT A DIRECT EQUIVALENT MANUFACTURED BY TCM*. 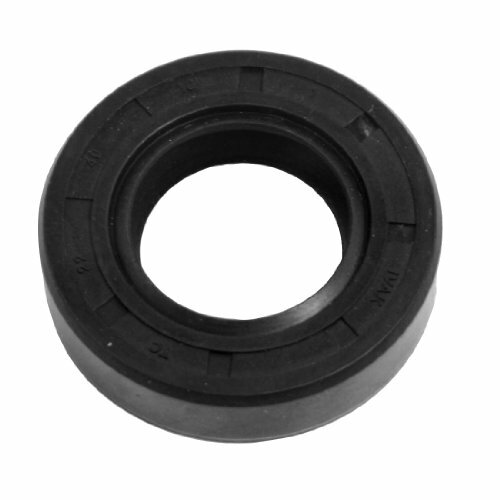 Shop Mechanidrive for this National Brand Equivalent interchange oil seal manufactured by TCM. 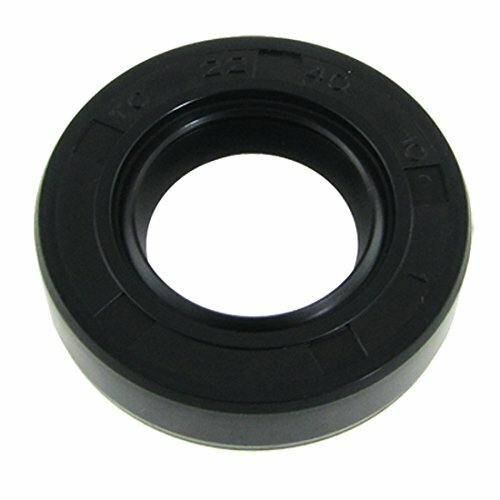 This seal is a form, fit and fucntional equivalent to National Shaft Seal part number 471554. 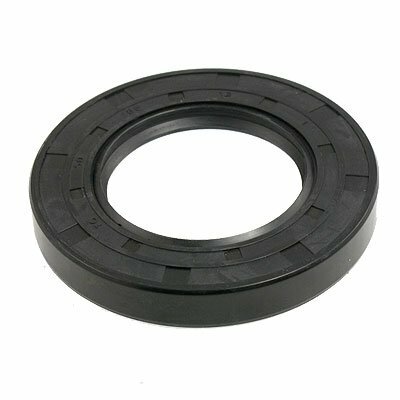 TCM oil seals are manufactured to the same ISO specifications as National and therefore a perfect replacement fluid seal at a fraction of the cost. 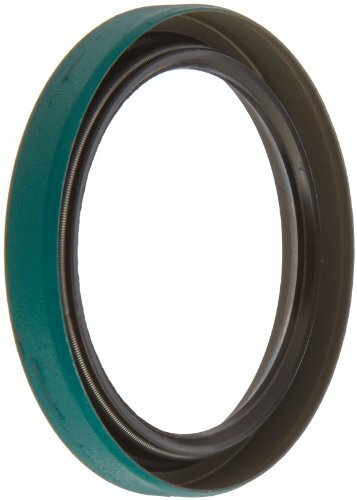 This oil seal has a Double Lip profile and is manufactured from Nitrile material. It measures 0.75IN shaft I.D. X 1.38IN bore O.D. and is 0.25IN thick. 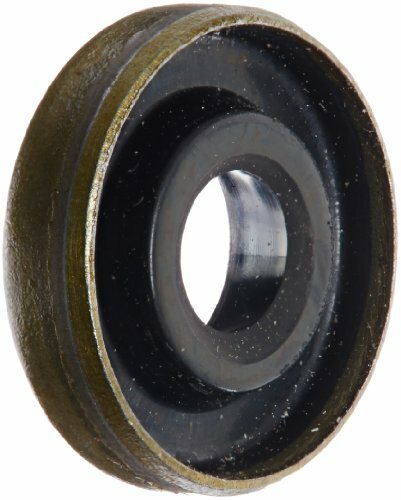 Check out our store for over 20,000 radial shaft seals in every size you need. Warranty: All products are warrantied against manufacturer defects by Dichtomatik. An RGA is required for any returns for defects according to the Mechanidrive Terms & Conditions of Sale. Mechanidrive makes no additional warranties outside the normal manufacturers policy. Basically consisted of the sealing lip, stiffening metal insert, and a garter spring.The nitrile rubber coated outside diameter creates an optimum seal at the hub.The steel garter spring guarantees constant pressure on the axle shaft over the life of the seal.It can prevent dust and impurities into inside the machine, and prevent lubricating oil from leaking. Kit King USA branded tamper seal kit that contains necessary seals for a hydraulic tamper reseal. All parts are quality checked and protected by a poly bag to ensure they are ready for your professional repair and install. Be sure to double check part number with OEM before purchase for your intended application. Picture is of the actual kit, but some part variation may occur due to part upgrades or various suppliers. Kit King USA kits meet or exceed OEM specifications, provide great performance and wear life, and are paired specifically for your application. Put our kits to the test on your next hydraulic repair. Be sure to verify that your purchase is Kit King USA branded. Demand the brand. The TC Oil Seal is specifically designed to keep out water and dirt.The rubber coated outside diameter creates an optimum seal at the hub.The steel garter spring guarantees constant pressure on the axle shaft over the life of the seal.Great for replacing your damaged oil seal. Rotary Shaft Seal Double Lip Shaft Dia. 0.217" Width 0.315" For Bore Dia. 0.63" Nitrile Rubber Lip Material. *THIS IS NOT A NATIONAL/TIMKEN OIL SEAL BUT A DIRECT EQUIVALENT MANUFACTURED BY TCM*. 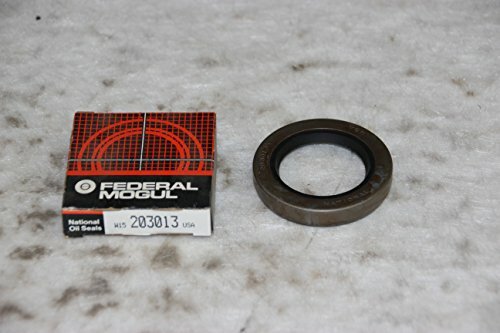 Shop Mechanidrive for this National Brand Equivalent interchange oil seal manufactured by TCM. 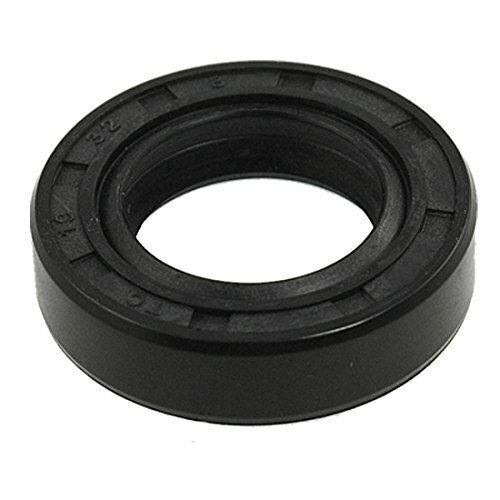 This seal is a form, fit and fucntional equivalent to National Shaft Seal part number 450135. 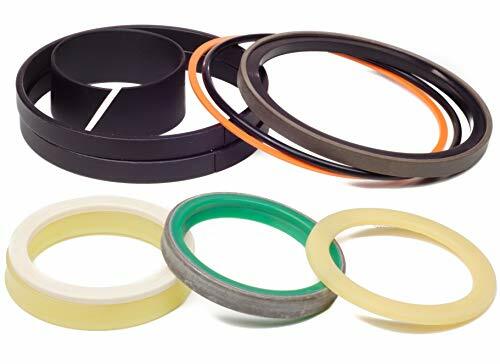 TCM oil seals are manufactured to the same ISO specifications as National and therefore a perfect replacement fluid seal at a fraction of the cost. 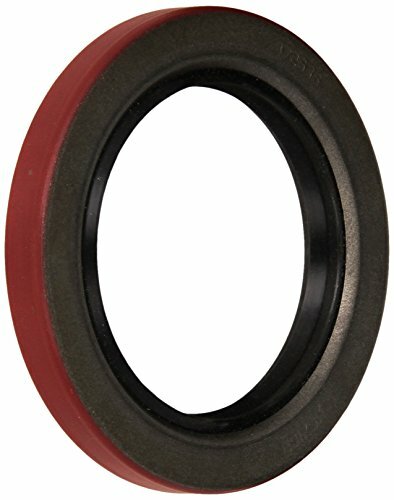 This oil seal has a Single Lip profile and is manufactured from Nitrile material. It measures 1.38IN shaft I.D. X 2.13IN bore O.D. and is 0.44IN thick. 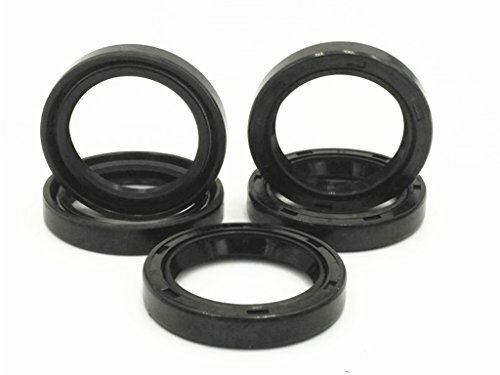 Check out our store for over 20,000 radial shaft seals in every size you need. Rotary Shaft Seal Double Lip Shaft Dia. 1/4" Inch Width 1/4" Inch For Bore Dia. 3/4" Inch Nitrile Rubber Lip Material. Kit King USA branded cylinder seal packing kit that contains necessary seals for a tamping pole reseal. All parts are quality checked and protected by a poly bag to ensure they are ready for your professional repair and install. Be sure to double check part number with OEM before purchase for your intended application. Picture is of the actual kit, but some part variation may occur due to part upgrades or various suppliers. Kit King USA kits meet or exceed OEM specifications, provide great performance and wear life, and are paired specifically for your application. Put our kits to the test on your next hydraulic repair.